While Iyengar Yoga is based on the time-honored traditions of yoga practice, the specific way in which it approaches the practice and teaching of yoga is the result of Iyengar's lifetime of practice, observation, and teaching of yoga. Iyengar was born in 1918 in South India. As a boy, he experienced a number of health complaints, which eventually sent him (in 1934) to seek instruction in yoga. His teacher was Krishnamacharya, Iyengar's brother-in-law and one of the most celebrated teachers of yoga in India at the time. Krishnamacharya, who was head of the Yoga Institute at the Royal Palace of Mysore, was also teacher to several other noted yoga masters of this century, including his own son, T.K.V. Desikachar, who has been very influential in the West through the work of his American student, Gary Kraftsow, who teaches Viniyoga (page 107); and K. Pattabhi Jois, who developed Ashtanga Yoga (page 67), popularized as Power Yoga. Iyengar began to teach yoga in 1936. Interestingly enough, Iyengar reports that in the 1930s, it was difficult to find students of yoga, even in India.3 Fortunately for ensuing generations, Iyengar did eventually find students, and has continued to refine his approach to yoga over the decades. Iyengar has perfected the practice of more than 200 asanas and breathing techniques. In 1974, Iyengar visited the United States for the first time and introduced the West to his particular style of yoga. 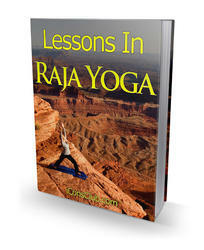 Over the course of his lifetime, millions of students have studied his Iyengar Yoga. He currently lives in Pune, India, where he presides over his own institute, the Ramamani Iyengar Memorial Institute (RIMYI), which he established in 1975 in loving memory of his deceased wife. His daughter, Geeta, and son, Prashant, who collaborate as teachers and researchers into the history and philosophy of yoga, have joined him in his work. Iyengar Yoga is celebrated for the precision that it brings to the practice of yoga. Among the many gifts that Iyengar has offered to yoga is the unceasing intellectual clarity that he has brought to bear upon the practice of yoga. Iyengar himself suffered from many illnesses as a child, including malaria, typhoid, and tuberculosis.4 Owing to his own health concerns as well as those of his students over the years, he has paid particular care to the relation of yoga to anatomy, physiology, and pathology. He has had the opportunity to work with people who have many and various physical ailments, and thus has designed a style of yoga that can address many health concerns. He considers yoga a therapy as well as a philosophy. His work has been much praised by the medical establishment. Iyengar Yoga was developed by B.K.S. Iyengar (1918—), one of the most influential teachers of yoga in the world. Iyengar Yoga is renowned for its emphasis on precision and artistry in the execution of physical postures. Iyengar paid particular attention to the relation of yoga to anatomy, physiology, and pathology. As a result, his style of yoga incorporates an extensive system of props, such as cloth straps, wooden or foam blocks, blankets, and bolsters, to help practitioners achieve better and more comfortable balance and alignment when performing asanas. During an Iyengar Yoga class, the teacher pays great attention to instructing students as specifically as possible in how to perform each posture. feet and held in the hands can ease strain in performing a seated forward bend. Placing a bolster or blanket under the buttocks can help you to feel more comfortable while sitting in a cross-legged sitting position. The teachers of many styles of yoga now use such props. However, it was Iyengar, with his emphasis on the precise anatomical alignment of the body while performing yoga, who popularized these powerful aids.